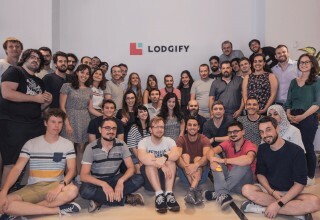 BARCELONA, Spain, July 10, 2018	(Newswire.com) - Lodgify, the Barcelona-based vacation rental software startup, today announced it has secured a $5 million round of Series A funding. Participants of the round are the existing investors Nauta Capital, HOWZAT Partners and Business Angels, as well as the new investor Intermedia Vermögensverwaltung. It brings total funding to $7.3 million to date. The company, which has twice featured in Wired's 100 Hottest European startups list, will use the new capital to scale the team, accelerate product development and increase marketing efforts globally. The Software-as-a-Service company is focused on building direct channel technology which empowers vacation rental owners and property managers to create a professional website and grow direct bookings, free from commissions. "Lodgify stands out from other software players because of our razor-sharp product focus," commented Dennis Klett, CEO of Lodgify. "We are not a Property Management System which typically focuses on on-site administrative tasks. Instead, our software enables our users to easily build and grow their own online booking channel." Beyond the direct channel, the company is also dedicated to building deep connectivity to the largest booking portals, such as its API integrations with Booking.com and Airbnb. Lodgify's multi-channel platform provides seamless, advanced connections which make it easy for lodging operators to start their business and receive bookings - both from external sources and their own websites. "What really strikes us about Lodgify's product is that, while other software players in this space solely focus on large, established property managers, Lodgify's self-service software addresses the needs of both individual vacation rental owners and property management businesses," commented Jordi Viñas, partner at Nauta Capital. "At an industry level, 60-70% of properties come from long-tail, individual owners who need an easy and scalable solution to create an online presence and get more bookings." 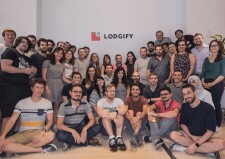 The $5 million investment will drive Lodgify's growth by expanding their team and, in particular, the product development department. This will allow Lodgify to develop new features at an even quicker pace, in line with the company's overall plans for the coming years. "Our vision is to make our direct channel technology accessible to any lodging business, no matter the size or segment," explained Marco De Gregorio, co-founder and CTO of Lodgify. 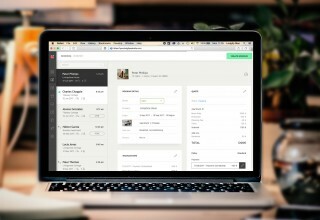 "Similar to how Shopify evolved, from a software for entrepreneurs to also cater to enterprise clients, in the future, Lodgify will continue to be used by small-to-medium sized vacation rental operators, and also by large enterprise-level hotel chains who want to run their entire website on our platform." Following this investment, Lodgify will welcome Stephan Marzen from Intermedia Vermögensverwaltung and COO, Alex Vuilleumier, to the board. 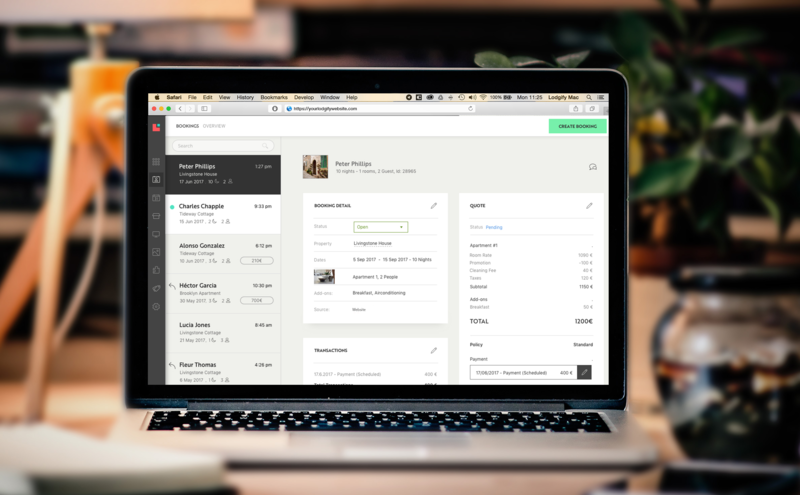 Lodgify is a Software-as-a-Service solution which empowers vacation rental owners and managers to easily build their own website, accept online bookings and process credit card payments. In addition, Lodgify provides a multi-channel platform with two-way integrations to external booking channels such as Booking.com and Airbnb to improve distribution capabilities and reservation management. Nauta Capital is a pan-European Venture Capital firm investing in early-stage technology companies and operating from two main hubs: London and Barcelona. Main areas of interest include B2B Software propositions, disruptive Digital Media companies, and enabling technologies for Mobile and the Internet. Nauta has $300+ million under management and invests in Western Europe and the USA. Nauta has led investments in 30+ companies including Brandwatch, CloudIQ, Nextail, GreatCall, Marfeel, MishiPay, Force Manager, Scytl, Smarp, Talentry, Getapp, BeMyEye, Geoblink, Aba English, Fizzback, Privalia and Social Point. Lodgify is an all-in-one vacation rental software solution for owners and managers. Easily create your own website with a "Book Now" button, accept online bookings and manage all reservations from one place. Vacation rental software, Lodgify, has been recognized in the list of Europe's top-emerging businesses.